There are certain junky foods that everyone has an embarrassing soft spot for. Thin McDonald’s hamburgers, tinned cream of tomato soup and spaghetti hoops (Spaghetti-Os in America) are a few of mine. Perhaps its because they were verboten growing up that they still tempt me. In the 70′s, while my cool friends were feasting on Caption crunch, fruit loops and dinners from a box like Hamburger helper, our very unhip family had to make everything from scratch. I wanted to be part of the modern innovation in food- why cook when you could open a packet? Looking back I am thankful my uber-cook mother stood her ground and ignored our protests. I now torture my own children with home-made meals. But the soup……that was something I wanted to re-create the taste of. I made this recipe for the ‘meals in heels’ cookbook and its pretty damn close to the stuff in the can, but with a little more sophistication. Tinned tomatoes are more reliable in the winter and surprisingly make it more tasty than fresh. Saffron slips in a subtle depth and a little bread binds it into a silky soup without the need of cream. Parmesan crisps are served with it, but in the book I did it with mozzarella balls and basil. Croutons, a swirl of basil oil, chopped tarragon, crumbled goats cheese, chipotle tabasco….the additions are limitless. Heat oil in a large saucepan over medium-high heat. 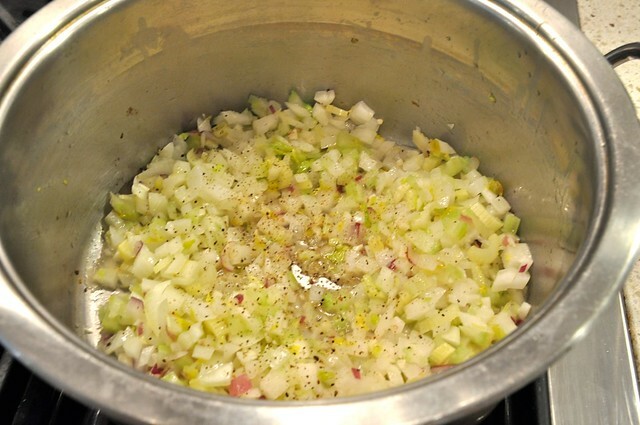 Add onion, celery and garlic, season with salt and pepper and cook for 8–10 minutes or until softened. Lightly crush the saffron, cover with 1 teaspoon boiling water and leave for 1 minute to infuse. Add saffron mixture to pan and cook for 5 minutes. 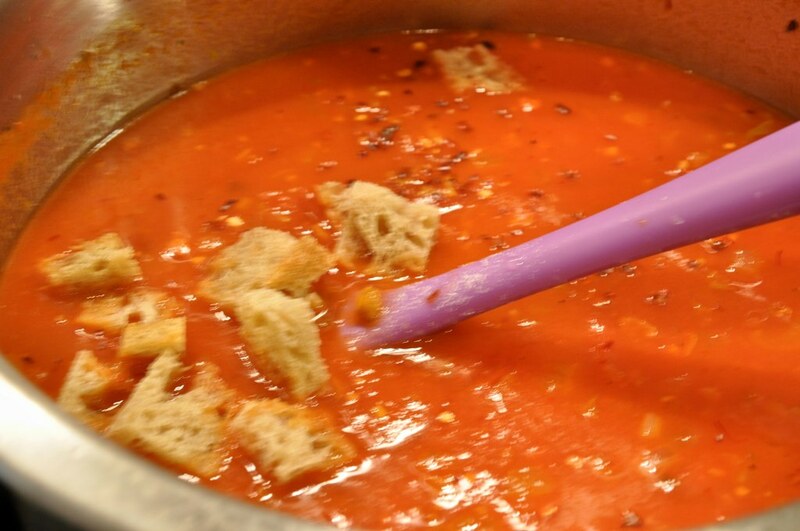 Add the tomatoes, sugar, bread and stock and cook for another 10 minutes, then purée in a blender until smooth. Return to the pan to reheat and taste for seasoning. 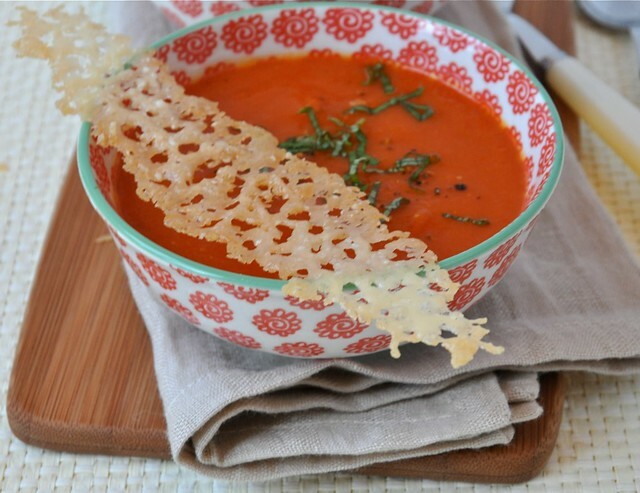 Ladle into small bowls and top with a parmesan crisp and a few basil leaves. Parmesan crisps-Preheat oven to 200c/400f. Spread the 6 tablespoons of parmesan into 6 long strips on baking sheet lined with non-stick mat or non-stick baking paper. Its important to use the non-stick base otherwise they will cement themselves to your baking sheet. Bake for 5 minutes, remove and let sit on the pan until you can easily spatula them off. Onion, celery and garlic are sauteed until golden. 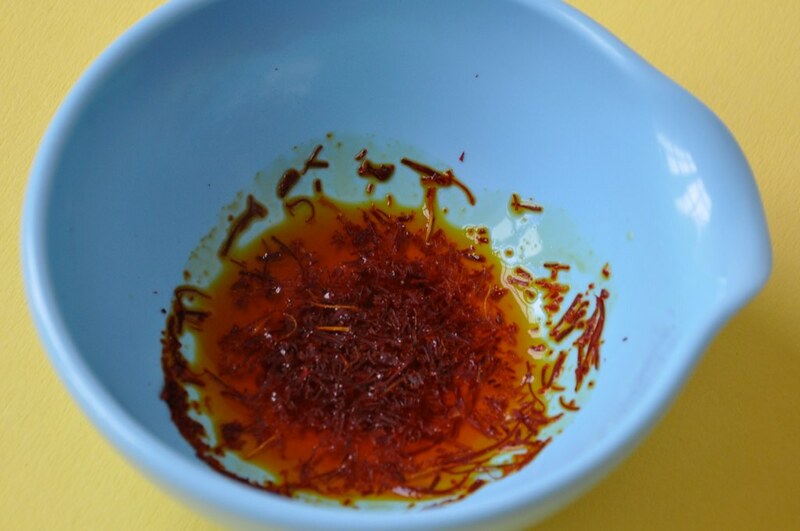 The saffron is lightly crushed and then steeped in a tablespoon of boiling water to get the most flavour and colour. Bread cubes are added to the soup to bind it into a creamy texture. 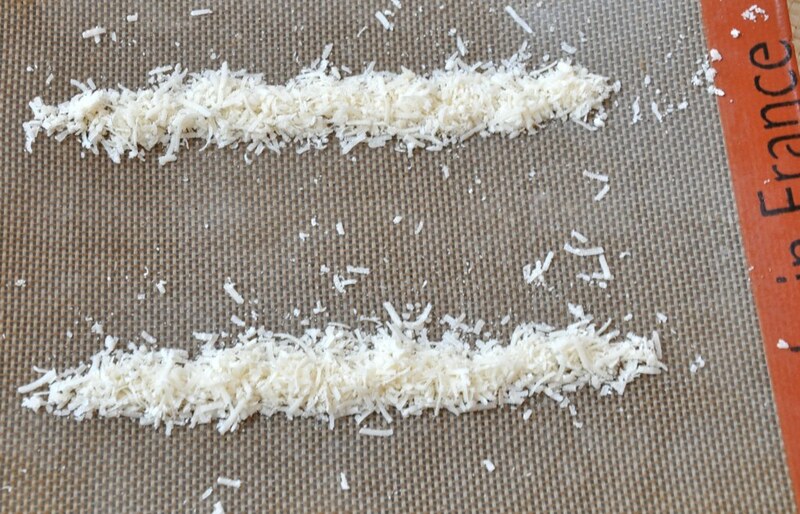 The parmesan is arranged into long strips to make the crisps. There is definitely something about Spaghetti-Os… ; Can’t wait to try this recipe. I’ve had some saffron in the cabinet that I wasn’t sure what to do with!